Lineal heavyweight champion Tyson Fury 25-0 (18) insists that Sefer Seferi 23-1 (21) is a dangerous opponent who deserves the same amount of respect as any world champion. 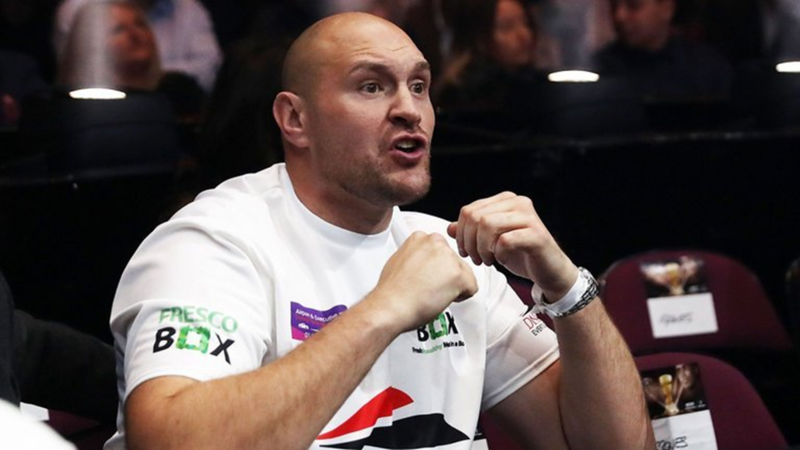 Fury, who is returning from a two-and-a-half year layoff, will face the 39-year-old Albanian cruiserweight at the Manchester Arena this Saturday night. “Sefer is a good fighter, I’m not underestimating him,” said Fury to Sky Sports. “I look at him the same way I look at [Anthony] Joshua, Wladimir [Klitshcko], [Deontay] Wilder, anybody. “He is a dangerous puncher – 21 KOs. He is in good shape, he is a good looking man and he’ll be coming to knock me spark out on Saturday. “We’ve all got the same number of chins. If he’s knocked out 21 men before, if he gets it on me he’ll knock me spark out too. Fury claims he could have been matched easier in his first-up fight after his time away from the ring when he blew up in weight to a reported 350-pounds. “I could have picked somebody a lot easier than Sefer,” said Fury. “Someone who I could have gone one round with and knocked them out. “I need plenty of rounds. I’ve been out for 1,000 days. Two years and eight months – I need rounds. “I know Sefer is tough. His brother is tough. That is why I picked him. He is tough, strong, he’s going to come forward and bring a lion’s heart.